Stickups, smash-and-grabs, and inside jobs: Why all the high-tech security can't stop them. It happened in broad daylight, just before 10 a.m. on January 3. A team of burglars entered the exhibition of rare Indian jewels on view at the Palazzo Ducale in Venice and left with two items valued in the millions of dollars. One, a set of diamond earrings, featured two 30-carat teardrop-shaped centerpieces, each arrayed amid a chandelier pattern of dozens of smaller diamonds. They were almost modest compared to the second piece, a giant confection of a brooch, in which a 10-carat flawless diamond was saluted by rows of rubies, more diamonds, and tassels of strung pearls. Float they did. 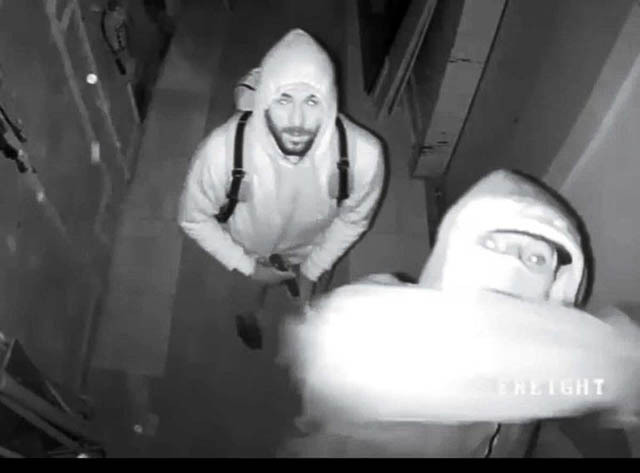 The thieves may have numbered as few as two: a lookout man and another who quickly and effortlessly managed to open a fortified glass case “as if it were a tin can,” as Venice’s chief of police was quoted as saying, then slipped the goods into his pocket. The display had been designed by the Sheikh’s own foundation and used at each previous stop on the collection’s tour: the Grand Palais in Paris, the Victoria and Albert Museum in London, the Met in New York, and the Miho Museum outside Kyoto. This was the final day of the collection’s four-month stint in Venice. The burglars did nothing to make themselves invisible. The whole operation was captured by security cameras, which also recorded them leaving the museum, before they vanished into the throngs of tourists in the Piazza San Marco. "The public sees the theft of luxury objects as a victimless crime." 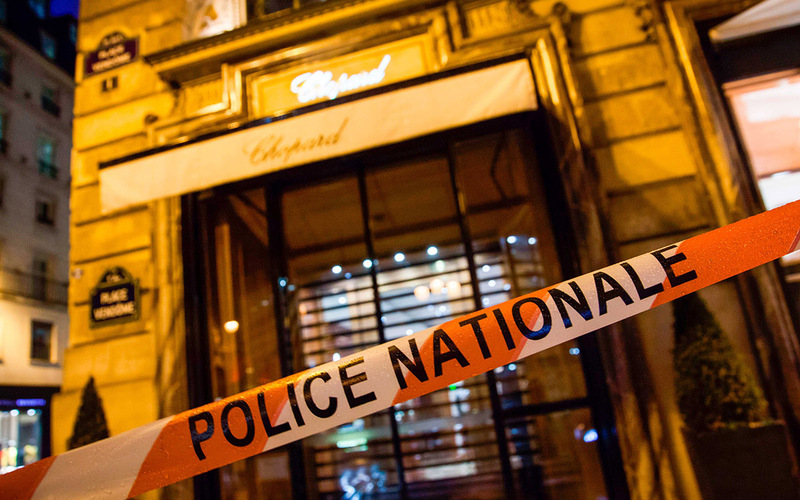 Just a week later thieves hit the jewelry shop inside the lobby of the Ritz Hotel in Paris and made off with an estimated $5 million in merchandise. This one was a smash-and-grab: They used sledgehammers to break open the glass display cases. They were also armed with guns and knives; they fired some shots and were in and out in a couple of minutes. Predinner patrons at the hotel’s Hemingway Bar retreated to the basement. The culprits fled on motorbikes. Three were caught and arrested, but two escaped. 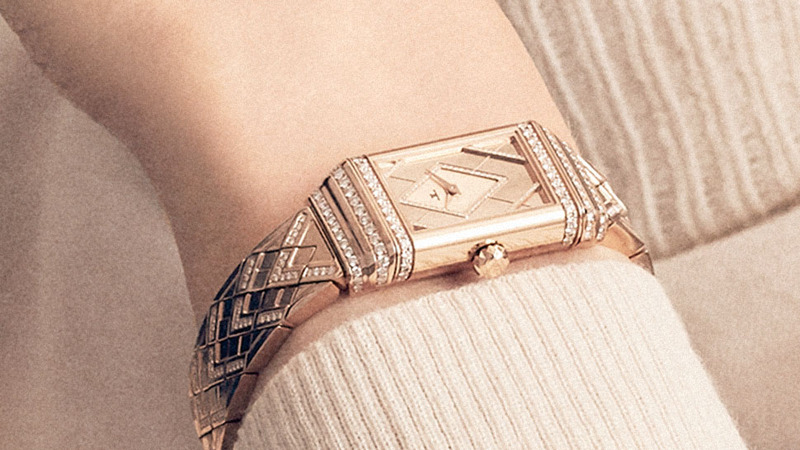 Despite the modern world’s obsession with security and all the scientific advances devoted to ensuring it, old-fashioned jewelry heists continue to occur and continue to arouse alarm. Part of the reason for their prevalence, experts say, is the enduring appeal of the bounty. “There’s always a market for fine jewelry, and typically you can take the entire inventory of a store and put it in a duffel bag,” says Jacque Brittain, digital editorial director at LP Magazine, a publication for the loss prevention industry. One way to understand modern jewelry heists is to take a look at who is committing them and where and who the targets are. Security experts are quick to mention nerve as one thing that sets these crimes apart from other thefts, whether the act in question unfolds in plain sight or via invisible Rube Goldbergian machinations. The whereabouts of expensive caches of jewelry are frequently already known to the public: behind the glass in a store or a museum, on the shelves in a vault or storeroom, even on a person’s hands or neck. Guarding it, therefore, is usually front and center in the owner’s mind—something prospective robbers know from the start. Consider some of the major jewelry robberies that have occurred over the past few years. In 2016, Kim Kardashian was held up in Paris at gunpoint by two men (part of a gang of low-level French criminals ranging in age from their mid-fifties to their seventies) who stole an estimated $10 million in jewelry, including her 20-carat diamond engagement ring, two Cartier diamond bracelets, a gold Rolex watch, diamond earrings from Lorraine Schwartz, and a gold and diamond Jacob necklace. Kardashian was staying in a private apartment at the anonymous No Address Hotel at the time and had traveled to France with an entourage that included a personal bodyguard. She was surrounded by people almost constantly during the trip, but the thieves managed to target her during a brief moment when she was alone. Kim Kardashian in Paris just before she was robbed in October 2016. Kim Kardashian let the world know what she owns and where she was. In the United States, the most enterprising jewelry thieves have been less cinematic in technique, but their resourcefulness can still be seen as a nose-thumbing to the retailers and brands that make their names catering to the one percent. Between 2012 and 2014 a ring based in Detroit committed a string of robberies around the country, which were followed by dozens of arrests. Their focus: Rolex dealerships, for obvious reasons. And there was Abigail Lee Kemp, “the Diamond Diva,” a 24-year-old former lingerie model and Hooters waitress from a privileged background who in 2017 was convicted of going on an armed robbery spree of jewelry stores in five states. Her weeklong string of holdups, it emerged in court, had followed a carefully scripted playbook provided by three older men—one of whom, her boyfriend, followed her into jewelry stores with a gun while she stood lookout. In a series of rehearsals at an auto body shop in Atlanta owned by the other two men, they chose Kemp’s outfits (casual exercise clothes), taught her how to use zip ties to bind clerks’ wrists, and developed a list of code words to use during the act. The Hatton Garden bandits opened safe deposit boxes with crowbars and made off with more than $30 million in jewels, cash, and other valuables. Hatton Garden—the London street and commercial district that housed the industrial-grade vault that was attacked—is a location synonymous with valuable gemstones, the United Kingdom’s answer to the jewelers row on West 47th Street in NewYork City. The 2015 burglary was so intricately choreographed that for months afterward it was assumed that responsibility for it lay with the Pink Panthers, who are known for military speed and tactics. The fact that the culprits turned out to be a bunch of aged ex-cons beset with Crohn’s disease, artificial hips and nicknames like “The Gov’ner” and “Billy the Fish” made their caper all the more surreal. Along with diamond-tipped drills, wire cutters, walkie-talkies, and a white van, some of the other equipment they put to use included utility worker uniforms, the book Forensics for Dummies, and a senior citizen discount bus ticket. Their maneuvers involved gaining access to the building via a fire escape door that was opened by a redheaded man (according to closed circuit cameras) whose identity remains unknown, getting past an iron gate and disabling the electronic alarm system, and boring three overlapping holes through a reinforced concrete wall so that the skinny perp who was able to shimmy through the opening could gain access to...a steel wall. When the men realized their efforts had not gotten them inside the vault but merely reached the back of a cabinet of safe deposit boxes that was bolted to the floor and ceiling—and when they were unable to pry the cabinet free with a 10-ton hydraulic ram—they left the scene for two days. 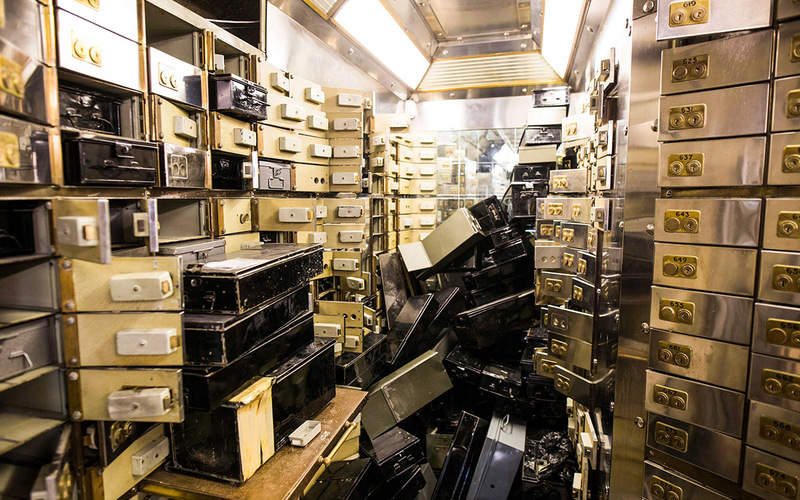 Two quit, but some returned with a newly purchased ram that they used to dislodge the cabinet, then cracked open 73 of the vault’s 996 safe deposit boxes with crowbars and sledgehammers. A workman demonstrates how thieves broke into London's Hatton Garden safe deposit in 2015. The loot consisted of loose diamonds and sapphires in large quantities, bundles of cash, and gold and platinum bullion. Nine men were arrested in the case the following month; eight were convicted, one acquitted, and at least one—the redhead—is still at large, along with two-thirds of the haul, worth more than $15 million. 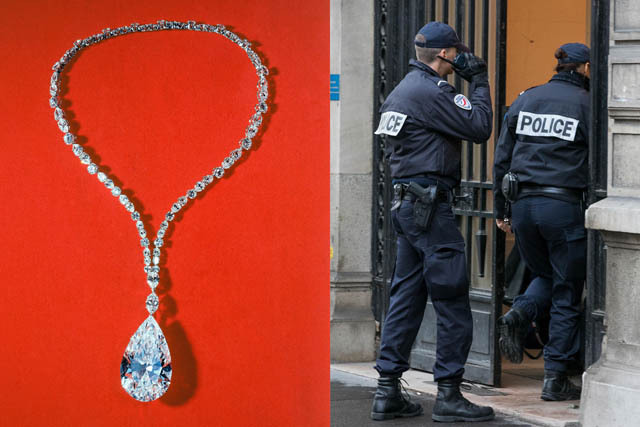 The Brussels Airport heist, by contrast, unfolded with razor-like precision, all during the 18-minute window between the moment the jewels were loaded onto the plane and takeoff time. Eight masked men, armed with assault rifles and dressed as police officers, ordered the pilot and crew to stand by while they methodically took about 120 boxes of diamonds from the hold. No shots were fired. They sped away in vans that had been rigged with blue police lights. The authorities eventually charged 16 men and three women with carrying out the robbery and helping to hide the gemstones, most of which have not been recovered. And the lone gunman who pulled off the Carlton Hotel robbery in Cannes? He walked away with a bag without incident and was in and out of the building in less than 60 seconds. Many reports put forth the theory that he couldn’t have acted alone and must have had inside help, and some noted that just three days earlier one leader of the Pink Panthers had escaped from a Swiss prison. It wasn’t quite the perfect crime—the perp slipped and dropped the entire haul as he made that exit (through a window), then quickly scooped up the items of greatest value and ran away. Still, the case remains unsolved. In To Catch a Thief, Cary Grant plays a reformed cat burglar whom the police suspect in an ongoing wave of jewel robberies on the Co?te d’Azur. To clear himself, his character, John Robie, has to return to his old milieu and nab the actual villain red-handed. He tells the insurance agent he drafts to aid him in his pursuit that he is no Robin Hood, but he still can't help rationalizing his crimes: “For what it's worth, I never stole from anybody who would go hungry.” When the righteous Lloydsman, played by John Williams, calls him “frankly dishonest,” Robie says, “I try to be.” He is all but imputing a degree of blame to anybody whose possessions he relieved them of. After all, jewelry’s worth is so closely bound up with the person who wears it. And perhaps its very showiness, its status as the most non-essential of luxury objects, serves as a dare: Those comfortable enough to afford such riches and gaudy enough to show them off are asking for trouble. That perspective, albeit with a modern twist, is used by many to explain Kim Kardashian’s ordeal in Paris. In the weeks preceding the robbery, the reality TV star posted numerous pictures of her engagement ring and other jewelry items on Instagram. Once she arrived in France, regular coverage by paparazzi, as well as her own social media updates, showed her at events and parties, which made her whereabouts easy to track. Even the bodyguard was compromised by the camera. Personal security staffers are theoretically more effective when they remain anonymous, but Kardashian had recently joked on one of her social media accounts that he was “always getting in the frames of pictures.” At the time of the robbery, he was accompanying her high-profile sisters to high-profile parties. “Kardashian was letting the world know what she owns and where she was going at virtually every moment,” Christopher Hagon says, which is exactly the kind of behavior a high-net-worth individual should avoid. “I mean, how much do you hear about Jeff Bezos traveling around? How often do you see pictures of him standing in front of his own jet?” Christopher Falkenberg points out that Kardashian was, in fact, fortunate she was traveling with such valuable goods. “It was a very dangerous situation she was in and would have been worse if she hadn’t had the jewelry to give them.” Falkenberg stresses that pride in one’s jewelry (as in the old adage about fools’ names and fools’ faces) is best never registered in public places, including party pages and social media feeds. “I think there are many people who have difficulty dealing with all the moving parts of a very affluent lifestyle,” he says. As revelers celebrated a few blocks away, three hooded robbers broke into a Midtown Manhattan jewelry wholesaler on New Year’s morning in 2017 and stole $6 million in merchandise. In the 1990s we saw a variation on this model in Mitch Shaw, an old money Texan who, with his girlfriend as getaway driver, stole millions in jewels from some of Dallas’s richest homes. More recently came the Bling Ring, eight well-off young adults from Southern California who burgled jewels from the homes of a handful of young celebrities, including Paris Hilton, Lindsay Lohan, and Megan Fox. Though they never met their marks, the boys and girls of the Bling Ring blended into their environment easily enough; they began by driving to Hilton’s house in West Hollywood and simply locating a key under the doormat (they didn’t use it, because, even more simply, the door was unlocked). Hilton not only permitted the movie director Sofia Coppola to shoot scenes for The Bling Ring, her faithful adaptation of the events, at her home—she played herself in the film. Is there a next generation of jewel thief waiting to take over with new methods and new technology? Probably not. Experts agree that the tactics—and, in some cases, the perpetrators—haven’t changed much in recent decades. Evidence? One of recent time’s most active jewel robbers (until she was caught—again—last summer) was Doris Payne. Age: 86.